(Q1 ) which experience of living and working in Japan affet your career in Vietnam? (A1 ) Learning and leaving in Japan is one of the most interesting time in mylife. After coming back Vietnam to work, the experience learning from Japanese is very helpful for my career. "Do everything on time" and "understand the customers's needs and expectations" are my career guides. (Q2 ) What is your best skill ? (A2 ) I studied international politics of development and financy at Japanese graduate school. So I think my best skill is to analyse monetary policy. (A1 ) "Working for a Japanese company taught me many lessons specially about working process, teamwork skill and attitude to work. Teamwork is highly stressed in the Japanese workplace. Showing solidarity by attending after-hours office functions is important for getting promotions and proving that the success of the company. And review process is strict too. It makes sure that every product is perfect. Besides, my Japanese skill is also improved during this year working at Japan. " (Q2 ) Why did you decide to join Haposoft after lefting the big Japanese IT company? (A2 ) I always challenge myselt to think outside a box. 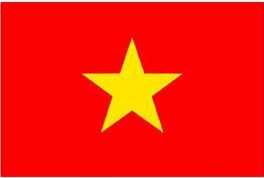 Haposoft is a Vietnamese start up with a professional enviroment and ambitious members. I can use my experience of working and leaving in Japan, and produce many high quality products satiffied not only Japanese quality standard but also international standard at Haposoft. (Q3 ) What is your best skill ? (A3 ) As an IT engineer, my hobby is learning the lastest technologies. This knowledge will help me complete my project perfectly. So I think my best skill is learning new technologies in short-time. (Q4 ) which was the biggest project you have joined? Describe it. (A4 ) I have joined to develop a Japanese social network with 1,000,000 users. Almost of users are Japanese students. This social network support to organize team-buidling activities, send emails and receive messages. (Q1 ) what is your best skill? (Q2 ) which was the biggest project you have joined? Describe it. (A2 ) "The large-scale biggest project I have joined is 80man/month. This project can help connect hospitals and doctors with patients and patients's families. So it takes the treatment more effectively". (Q3 ) What is your biggest passion in your job ? (A3 ) Make the best of everything. (Q4 ) Where do you see yourself in 5 years? (A4 ) Become a tech leader making the right technical decisions for stacks and building base for big projects. (A1 ) Creative thinking, ability to learn digital design platforms. (Q2 ) which is the most important thing to make a good UI/UX production? (A2 ) Dont make user think. (A3 ) Make everything around me beautiful. (A4 ) Become UX designer (User experience designer). (A1 ) My strenght is that I can learn modest technologies fastly and I always get to work in high spirit. (Q2 ) Why did you decide to become a Haposoft's member after graduating HEDSPi programing of Hanoi University of Science and Technology? (A2 ) working in a professional enviroment where you can learn not only technology but also life experiece from colleagues and through projects is that why i decided to choose Haposoft after graduation. (A1 ) "Highly adaptable to working enviroment change. Working with high spirit and resposiblebility. Solve problem calmly. Listening the voice from customer to improve working process and myself. They are my strong points." (A2 ) After graduation, I had received many offer letters from IT companies. But I chose Haposoft. Because Haposoft has a professional enviroment and many opportunity to work with Japanese clients. Besides, the policy for training a fresh graduate studen is very good. (A3 ) The biggest passion in work is to be able to learn new technology to meet requirements from clients and give the best solutions for projects. (A4 ) Become a technical leader after being a full stack developer.